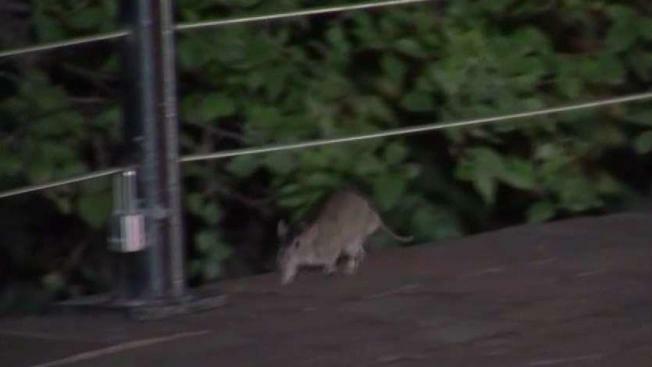 The Potomac River has been busting onto the Georgetown waterfront, chasing customers away — and chasing rats closer to restaurants. Normally bustling, the Georgetown waterfront has taken a hit as coastal flooding overtook some of the walkways for several days in a row. But the restaurants' prime location isn't being marred by just water and a large flood wall. The riverside real estate where the rodents normally live is waterlogged from rain and coastal flooding, pushing them inland. A barrier wall prevents the flood waters and most of the vermin from getting too close to humans, but it's still posing a problem. "It's really hurt us," the manager of Tony and Joe's Seafood, Edward Lynch, told News4. He said business plummeted 50 percent compared to last week. "The rats live next to the river. The water goes up and the rats have to go somewhere," he said. "Luckily, we have these walls and the rats don't go here." The situation may last a little longer. "Unfortunately, we're going to have a lot more rats than we've had in a little while," Council member Jack Evans said. Evans recommends you contact the DC Government’s Rodent Control Program to report any rat activity. You can call 311 or find more information here.